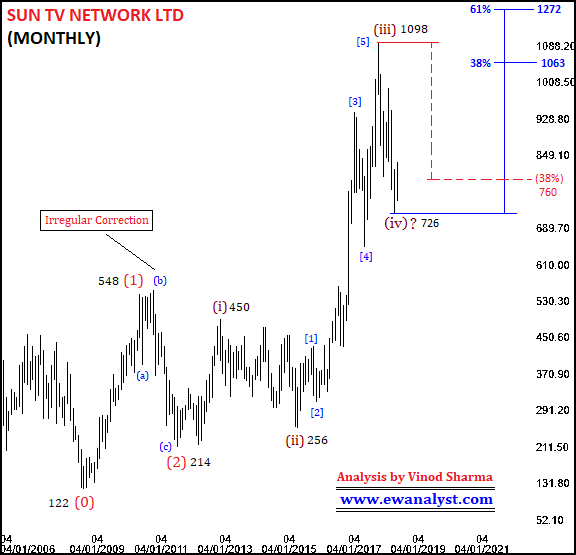 Sun TV Network ltd (SUTV) listed in 2006 but it registered its life time low 122 in November 2008, so its major wave cycle started from 122. This stock consolidated in 548-214 range for 01 year [2010 to 2011] but bounced sharply by more than 400% and registered its life time high 1098 in January 2018. 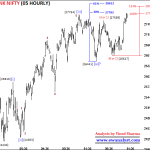 It gave good correction from 1098-726 [38% retracement of whole wave (from 122)] and presently trading around 774. 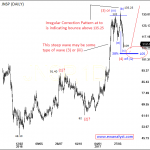 So, let’s try to understand the future course of this stock by analyzing waves and patterns on all required time frame chart. First we need to see the life time move of this stock on monthly chart. 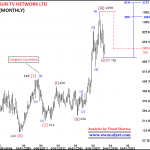 This is Monthly time bar chart of Sun TV Network Ltd (SUTV) covering its life time move from 2008-2018. All time low of this stock is 122 so the wave cycle of this stock is started from 122 in 2008. It seems wave completed from 122-548 may be bigger wave (1), wave completed from 548-214 may be wave (2) and wave (3) may be in progress from 214. 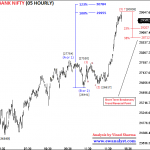 Within bigger wave (3), it seems wave (i) may be completed at 450, wave (ii) may be completed at 256, wave (iii) may be completed at 1098 and wave (iv) may be completed at 726 or still in progress. Wave (iv) retraced deeper than its Normal 38% retracement placed at 760. 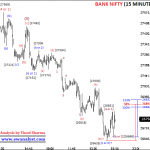 Minimum 38%-61% projection for wave (v) is placed at 1063-1272 but earlier high is 1098. So, 1098-1272 is the minimum expected target range for completion of wave (v) of wave (3) if wave (iv) is already completed at 726. Let’s analyze the decline from 1098 on separate chart to see if wave (iv) is completed or still in progress. 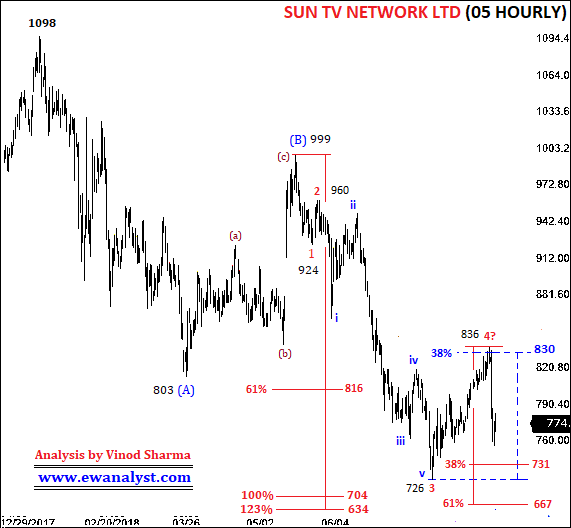 This is daily time bar chart of Sun TV Network Ltd (SUTV) covering move from 1098 which I am expecting start of inner wave (iv) of wave (3) on previous chart. It seems wave completed from 1098-803 may be wave (A), wave completed from 803-999 may be wave (B) and wave (C) may be completed at 726 or still in progress. 100%-123% projection for (C) is placed at 704-634 which is the normal expected target range for completion of wave (C). 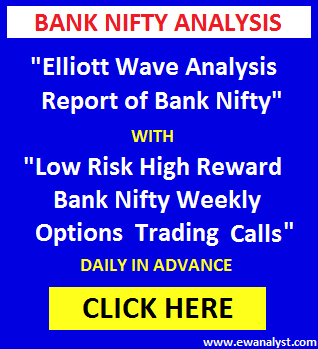 Within wave (C), it seems wave completed at 924 may be wave 1, wave completed at 960 may be wave 2, wave completed at 726 may be wave 3, wave completed at 836 may be wave 4 and wave 5 may be in progress from 836. 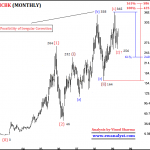 Minimum 38%-61% projection for wave 5 of (C) is placed at 731-667 whereas as end of wave 3 is 726, so 726-667 is the minimum expected range for completion of wave 5 of (C), if the counts marked on chart are correct. 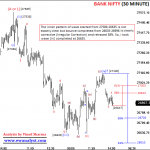 38% retracement of progress of wave (C) is placed at 830 which is the immediate breakeven point. So, if this stock trade/stay above 830 for a week can result in further bounce towards 999-1098 which further can extends towards 1272 in short term. Otherwise, there is a possibility of one more decline below 726 before any further bounce for new high. For Medium/Long Term: – This stock seems within its inner wave (iv) or (v) of major wave (3) of bigger cycle and it can bounce towards 1098-1272 and above to complete major (3). This stock can give minimum 40%-80% returns in coming weeks/months but it is not giving indication of any multi-fold returns. 704-634 is best range to accumulate this stock, otherwise it can bounce from present levels also and same can be confirmed if close above 830 after seeing the pattern of breakout. This stock is not giving indications for multi-bagger returns in longs term but it is good for minimum 40%-80% returns. The best investment strategy for this stock is to accumulate (buy systematically) if get in 704-634 range keeping final stoploss of 449 [below the end of wave (i)] expecting 1098-1272 as minimum upside target in coming weeks/months. Otherwise, this stock can also bounce from present levels which will be confirmed after closed above 830 for a week. 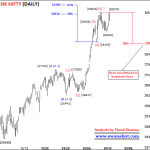 Investment/trading strategy for these conditions can be decided after seeing the pattern at the time of breakout only. I personally don’t prefer those stocks for long term investment which doesn’t have potential to deliver minimum 200%-300% returns in 3-5 years. But here, I just suggested a best investment strategy for this stock in present conditions. 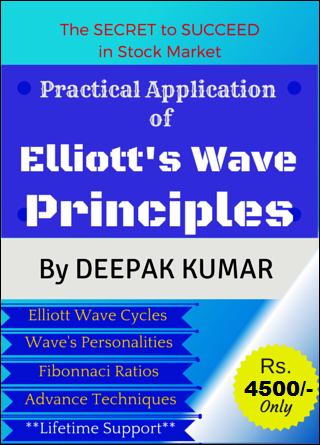 Disclaimer: This analysis report is based on my personal understanding of Elliott Wave Theory Analysis with conditions, outlook and probabilities. And Trading/Investment strategies mentioned are best suitable based on outlook. But the outlook and trading strategies explained in this reports are just for ideas and not trading recommendations. Trading/Investment based on this analysis is solely your decision and you are responsible for any Profit/Loss. © 2019 Elliott Wave Analyst. All rights reserved. Theme by Solostream.